Looks like something I'd love Judy! I can test to this cake...Walking into Judy's house and being served ginger cake, brought memories of how my mother always made a ginger cake. Thanks for giving this a special touch with the lemon sauce. Thanks for sharing this recipe! I've been looking for a good recipe for gingerbread with lemon sauce for the last year! 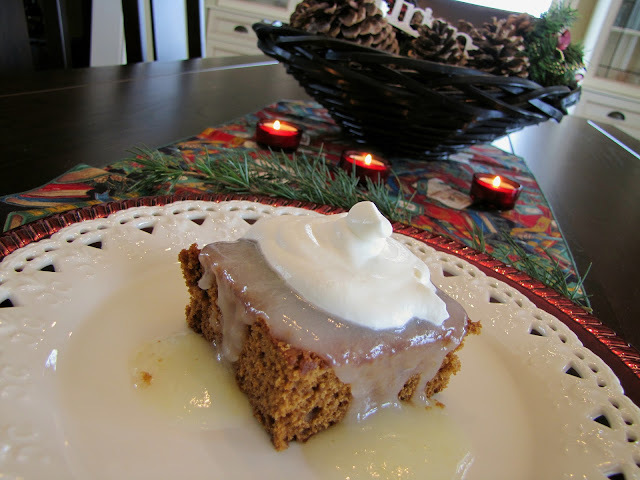 Lemon sauce on gingerbread..that sounds really good. A great combo! and does have very pleasant memories for me as well.